The repercussions of the 2018 Kauai floods are still being felt on the north shore of Kauai. In April of last year torrential rains (50 inches in 24 hours) and landslides washed out roads around the island and the repairs have been extensive and slow coming. The most common question I get asked is, “When will the Kuhio Highway be open to the end of the road (Ke’e Beach).” I wish I knew the answer. The north shore of Kauai is full of wonder. It is what you think of when you think of a tropical island – lush, green, undeveloped beauty. The stretch of highway between Hanalei Bay and Ke’e has some of the most beautiful scenery and gorgeous beaches on the island. 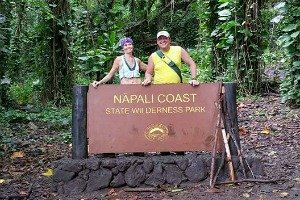 Although you will find plenty of special, scenic places all over Kauai, not being able to go here is a disappointment to many. Slope stabilization and roadway repairs needed to safely open Kuhio Highway past Anae Road (the Waikoko checkpoint) to two-way traffic will be substantially complete in April, according to HDOT spokeswoman Shelly Kunishige. For now, access to this part of the island (past Hanalei Bay) is open only to residents who must adhere to a convoy schedule in order to come and go from their properties. In the article, the HDOT could not give an estimated date of when the road might reopen to the public. By summer? We are hoping. Total costs for the Kuhio Highway emergency repairs is estimated at $77.2 million. In the meantime, the TGI newspaper ran this headline yesterday, “Haena Park Opening Nears”. Unfortunately, the general public won’t be allowed to see the $2 million makeover until the Kuhio Highway opens. Haena Park is a state park located at the end of the Kuhio Highway at Ke’e Beach. The start of the Kalalau Trail is from this park. State park officials have set March 30th as the projected completion date for the total reconstruction of public facilities in the park. According to the TGI article there is a deliberate plan in the works to reduce tourist volumes at the park. The overcrowding of the area has been a concern to local residents for years. If you have ever tried to park at the end of the road on a busy day, you know what I mean. Nearly 20 years of effort had already gone into formulating a new master plan for Haena Park before the April storms arrived. With recovery funds available and with the closure of the highway to anyone except residents, it was a perfect time to quickly push forward with the new plan. The parking lot is being rebuilt and will have an absolute limit of 100 spaces. No parking will be permitted on the highway. Local residents will have reasonably unfettered access to the park, with no entry fees, free spaces in the lot and no need for advance reservations. The lot will be served by a shuttle, which visitors will be encouraged to use. Newly developed paths and a boardwalk path will lead visitors from the parking lot to Ke’e Beach, limiting damage to vegetation and animal life. 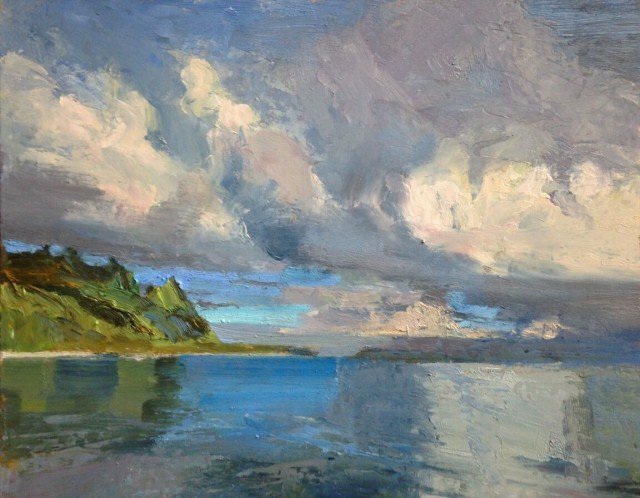 Four new staff positions – a park manager and three rangers – will police the park, ensuring that anyone camping on the Na Pali Coast has a permit to do so and monitoring camper activities. Overnight parking by camping permit holders will be prohibited and campers will be encouraged to use the shuttle or have friends drop them off. Entry to the Kalalau Trail will not resume until Kuhio Highway completely reopens. Although it is hard to accept new restrictions for access to anywhere, almost all would agree that the excessive population and traffic to this area of Kauai before the storm was unbearable. Hopefully if a plan such as this can be implemented and enforced, it will lead to a much more enjoyable time in Haena Park for residents and locals alike. While the Kuhio Highway and Haena Park are closed, visitors are still flocking to the north shore of Kauai. Honu Point is already booked until the end of July. With the world in a crazy state right now, Hawaii is looking better and better to travelers. 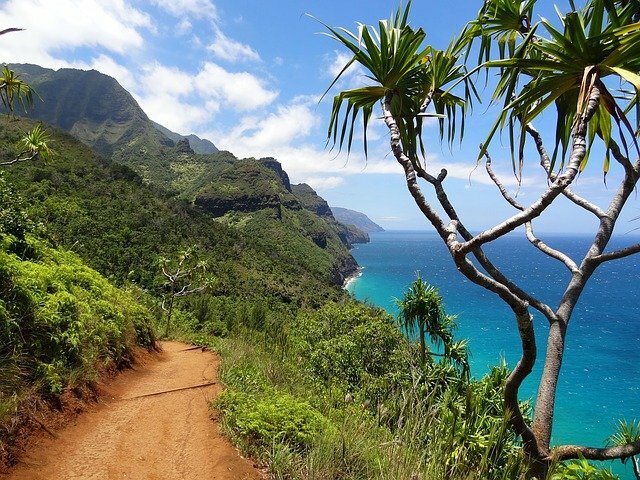 Even without the eight miles, it is hard to beat the beauty of the mountains and beaches of the north shore of Kauai. So, now you have as much information as I have as to when the Kuhio Highway and Haena Park will be opening to the public. For positive thinkers it will be summertime, for others, who knows? A lot depends on the weather. Pray for sun. For more of my blogs, go to the category list on the right-hand side of this page (full screen computers). Mahalo! Featured photo: Painting by Saim Caglayan.